Z News interviewed Sepi Bakhtiar, owner of Santa Monica’s Sepi Spa, to discuss the Med Spa’s integration of Zimmer Cryotherapy with their custom facial treatments. 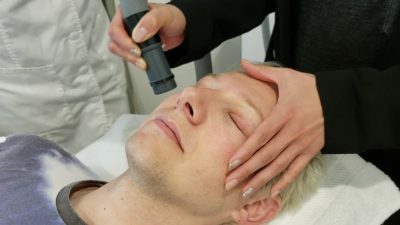 In the video below, she demonstrated a “red carpet” treatment with EndyMed 3Deep radio frequency, followed by a relaxing facial Cryotherapy session. Sepi Bakhtiar provided this video and comments about Zimmer Cryo without receiving compensation of any kind. Scroll down to view the EndyMed & Z Cryo facial treatment video by Sepi Spa. Overseeing all Med Spa procedures at Sepi Spa is cosmetic surgeon, McCoy Moretz, MD. A team of licensed, experienced and professional estheticians are also on-staff to help clients select the best treatment to target their specific skin care needs. Sepi Spa offers facials for concerns like rejuvenation and acne. They utilize red and blue light therapy, as well as microdermabrasion and glycolic peels. They offer facial and body waxing and eyebrow shaping & tinting. Additionally, Med Spa services are available. Some of these include EndyMed Pro™ Micropen® Elite, non-surgical facelifts using CACI micro-current, along with Restylane®, Botox® and JUVÉDERM dermal injections. For the body, Sepi Spa provides infrared sauna and endermologie. Sepi Spa is located in Santa Monica, California. For more information about the Med Spa and its services, please visit www.SepiSpa.com. The Zimmer Cryo delivers cold air as low as -30°C. The device is intended to minimize pain and thermal injury during laser and dermatological treatments. It also provides temporary topical anesthetic relief during injections, tattoo application, tattoo removal, RF, laser hair removal and much more. The system can assist in a variety of applications and is particularly useful with cosmetic procedures. Unlike other cooling methods, such as contact cooling, cryogen spray or ice packs, Zimmer Cryo can cool the epidermis before, during and after the laser energy has been applied, without interfering with the laser beam. For more information about Zimmer Cryo devices, please view a web overview of the product. You may also contact Zimmer any time by phone or email.